You are sitting in the hospital, waiting for a checkup or perhaps to have a mole removed. In filling out the paperwork — What medications you are taking? Are your emergency contacts up to date? — you encounter a question about what is to be done with “excess tissues or specimens” that may be removed during diagnosis or treatment. Are you willing to donate these leftover bits of yourself (stripped of your name, of course) for medical research? If you are inclined to answer, “Sure, why not?” you will join the majority of Americans who agree to donate. And hey, it may be your donation that leads to the long-sought cure for cancer! On the other hand, the request to use part of your body for research may give you pause. What, exactly, will be done with your donation? Can the biobank guarantee that your genetic information will not be shared with your insurance company? Will your donation be used to patent a new drug that will be sold back to you at an exorbitant price? 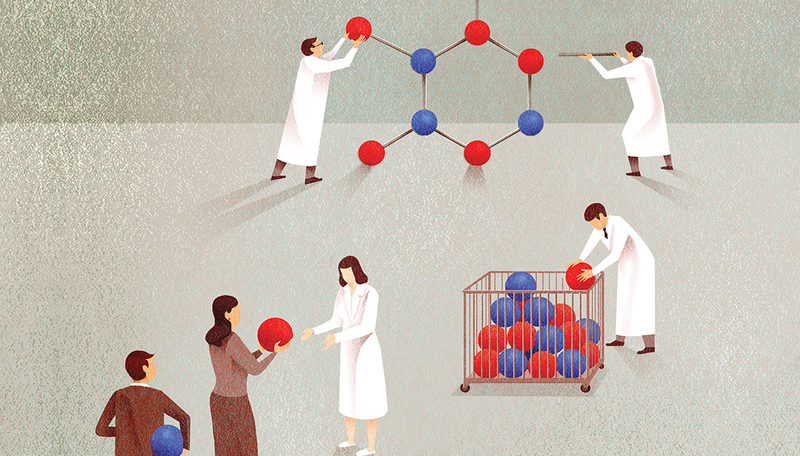 Progress in science and medicine depends on public trust in the research enterprise. If scientists violate that trust they risk losing public support — and funding — for their work. What does this have to do with you and your decision to donate your blood and/or tissue to medical research? A critical piece of Obama’s PMI, which is now being implemented, is the creation of a “voluntary national research cohort” of 1 million people who will provide the “data” researchers need to make this big jump in medical care. Yes, among other things, those “data” include bits of blood and tissue that will help scientists find the link between genes, illness and treatments. But privacy is not the only worry for donors. We at the Center for Bioethics and Social Sciences in Medicine — together with colleagues from the Center for Ethics and Humanities in the Life Sciences at Michigan State University — asked the American public about their willingness to hand over bits of themselves to researchers. Data from our national survey, published in the Journal of the American Medical Association, reveal that while most Americans are willing to donate to biobanks, they have serious concerns about how we ask for their consent and about how their donations may be used in future research. We asked our respondents — a sample representative of the U.S. population — if they would be willing to donate to a biobank using the current method of “blanket consent” where donors are asked to agree that their tissue can be used for any research study approved by the biobank, “without further consent from me.” A healthy majority agreed. But when asked if they would still be willing to give blanket consent if they were told that their specimens might be used “to develop patents and earn profits for commercial companies” that number dropped significantly. Willingness to donate also dropped when respondents were told that their specimen might be used to create bioweapons or to develop more safe and effective abortion methods. Should we take these moral concerns seriously? Progress in science and medicine depends on public trust in the research enterprise. If scientists violate that trust they risk losing public support — and funding — for their work. The Havasupai tribe of Arizona, for instance, banished all researchers after learning that DNA donated by tribe members for research on the genetics of diabetes was also used, without permission, for a study that undermined the tribal story of its origins by tracing the migration of Havasupai ancestors. The Havasupai are not unique. In our sample we found that lack of trust in scientists and scientific research was the strongest predictor of unwillingness to donate to a biobank. When you are sitting in the waiting room, contemplating the decision to donate some of your self, you should be assured that doing so will not violate your sense of what is good or moral. The “Proposed Privacy and Trust Principles” issued by the PMI in 2015 are a hopeful sign. They call for transparency about “how [participant] data will be used, accessed and shared,” including “the types of studies for which the individual’s data may be used.” The PMI soon will be asking us to donate bits of ourselves, and, if these principles are honored, they will go a long way toward building the trust that biobanks, and precision medicine, need to succeed. Raymond De Vries, Ph.D., is co-director of U-M’s Center for Bioethics and Social Sciences in Medicine, and a professor in the Department of Learning Health Sciences.